TORONTO – Sooner or later, someone was bound to take note. Toronto Catholic District School Board (TCDSB) officials decided to orchestrate a school event to give an incumbent Trustee a “leg up” on her challengers in this municipal election. That’s the allegation, not so veiled, launched by Gianfranco Cristiano and Yenny Musalem after Tuesday’s meeting at Dante Aligheri Academy. Both are challenging Maria Rizzo for the privilege of representing Catholic voters at the TCDSB after the October 22 vote. Ms Rizzo provided Corriere with a list of impressions she took from the public input respecting the three options laid out for local resident, students and teachers to consider. Her critics would have none of it. They claim that they were not allowed to speak or to engage the public in a meeting called with a purpose to consider future development of the High School and the adjacent elementary school, Regina Mundi. Senior Staff appeared to go out of its way to help Rizzo, but, finally they were allowed to ask questions after the presentation. An angry Cristiano asked the Corriere how anyone could tolerate the meddling of Rizzo and the Board officials in any development proposals. Especially after the fiasco involving the initial $75 million project to replace the Columbus Centre with a combined Dante Alighieri/ Columbus Centre facility. Readers may recall that TCDSB, within those six years, bought the Convent from the Sisters of the Good Shepherd for $18 million and the Columbus Centre for a further $23 million. The latter had several conditions, including the tearing down of the Centre; making the terrain construction-ready for Condominiums; moving St. Charles Borromeo church to the current Regina Mundi site and cutting a road through the Centre from Lawrence Ave to Playfair Ave.
Until the original the Agreement of Purchase and Sale, released in March, proved that Rizzo, Villa Charities Inc (the Columbus Centre) and the Diocese had misrepresented the facts all along, the Trustee claimed, to have convinced the TCDSB to buy the property in order to save the Centre from the wrecker’s ball! In the interim, TCDSB spent more than $3 million in consultants’ fees to draw up architectural drawings for a project whose main goal was to promote the construction of four condominium towers. Yenny Musalem wondered if the money should not have been spent on student learning outcomes instead. “I see proposals for bricks and boxes, and nothing for what should be happening inside the schools. It’s time we got our priorities straight”, she said. Ms Musalem is a former teacher with TCDSB. It might be nice to expand the size of Regina Mundi’s gymnasium, she added, but three blocks away, on the east side of Dufferin St sits a school twenty years older, in a state of disrepair and a program severely in need of overhaul. Jennifer Arp, Trustee for the Toronto District School Board and currently vying for a Council seat from the area, will have none of it. She reflected that, had her own Board behaved as the TCDSB did over these years, the Province would have shut it down and placed it under supervision. Arp suggests that the potential profits from condo development are too tempting a prize for people to give up on the initial project or any variation of it. “They had submitted a business case for one proposal and now are presenting something entirely different, and still expect to keep the funding”, she said. Neither the CEO of Villa Charities Inc nor the Members of its Board have resigned – as one might have expected of any individuals behaving honourably – have the collapse of the project. She may be right to be cautious. A former CEO of that Villa Charities Inc, and signatory to the Agreement of Purchase and Sale referenced above – Pal Di Iulio – was also in attendance. According to those present, his only interest was to ensure that any road extension that might flow from the new proposal by the TCDSB and Rizzo NOT go through the street where HE lives. He left after the formal presentation. Rizzo acknowledged, in an email response to the Corriere that there was no appetite to extend roadwork through the Convent lands. 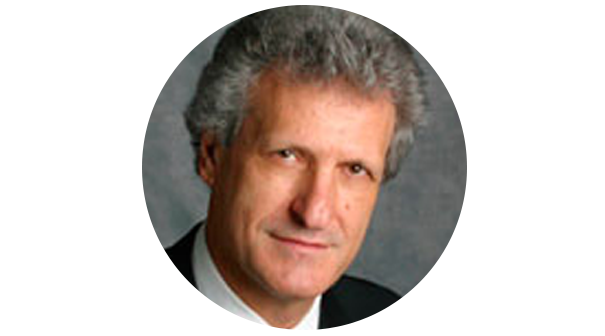 Contacted earlier by the Corriere, Michael Colle, former MPP, now candidate for Council in the area, remains firmly opposed to any proposal by the TCDSB and/or Rizzo that could remotely trigger condo development on the school campuses.